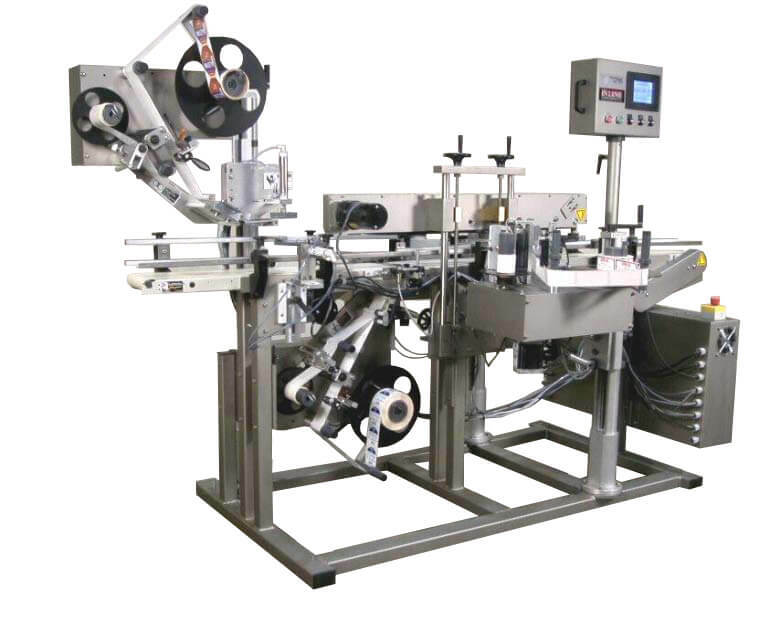 Using a Hot Stamp Coder is the oldest and most prevalent method of applying a code to a label, originating in the pharmaceutical industry. Brass type is loaded into the type holder, which heats up. A temperature controller regulates the heat. The Coder uses a ribbon which has ink and resin bonded together. 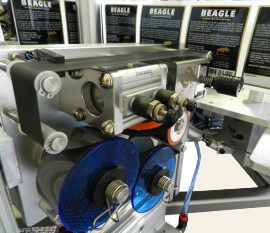 When the label stops, a signal is sent to the coder which activates a pneumatic solenoid to fire the typehead out. The brass type presses against the ribbon and then against the label. The force of this leaves an impression in the paper and the ink from the ribbon in that impression. The code is immediately dry, so no smudges will occur, and no one can remove the code without defacing the label, so this code is the most tamper-proof. The downside is that the holder gets hot, and so changing codes means either purchasing a second type holder to load the new code in or allowing the holder to cool before changing the code. For simple date codes the new code can be loaded in the morning and then the coder is turned on. A roll of ribbon can provide several thousand codes, so the cost of a code is a fraction of a cent. For those who value quality over quantity, our Hot Stamp Coder is for you. As with all In-Line products, you will find unmatched service and quality. All our machines are backed with a one-year warranty, and we are available to answer questions and troubleshoot. We don’t leave you cold after the purchase. We develop a relationship with our customers and are here to help them as their business grows and changes. So, you can be confident when you partner with In-Line that you are receiving not only quality products, but quality service as well.